Is that Collins John the ex Fulham player? If it is, he is apparently only 28! It seems much longer ago that he was around. 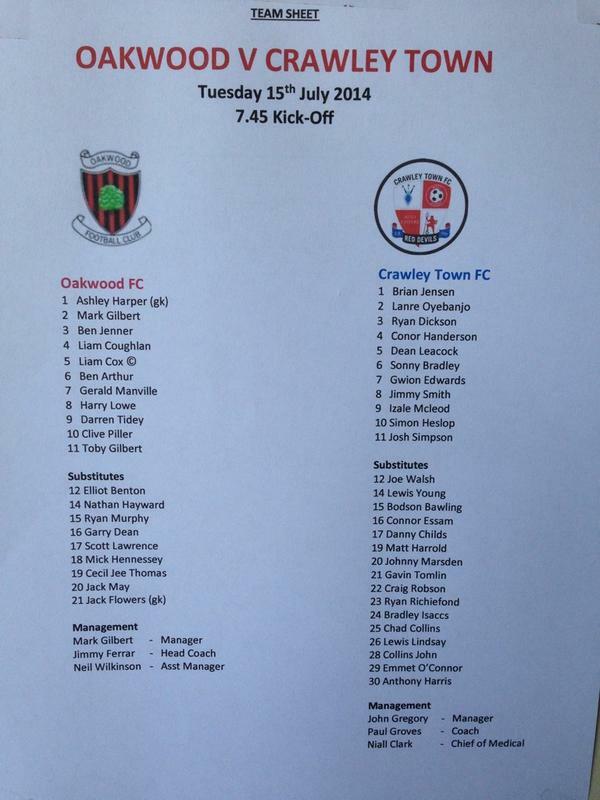 Anyone know the Oakwood side? I'm not sure when the team sheet was produced but it doesn't match the side posted on Reds Wall/Twitter. Reds: Jensen, Oyebanjo, Essam, Walsh, Dickson, O'Connor, Heslop, Henderson, Young, McLeod, Collins John. Bench: Leacock, Smith, Bradley, Edwards, Bawling, Childs, Marsden, Collins, Isaacs, Richefond, Harris. Then again, the team sheet just seems to be our players listed in numerical order. Updates on the official site seem to be lacking. The Crawley News is reporting it's 1-0 to us, a penalty. Sounds like another rout - 6-0 so far & not even half time!